Winter the coldest season of the year is here. Temperatures are starting to drop and your energy bills are beginning to go up. Make sure you complete your fall home maintenance checklist. Increase the amount of insulation in your basement, attic, and ceiling; to reduce your total annual heating energy usage by up to 15%. Have your heating system cleaned and serviced by a professional heating specialist before the start of the winter season. Replace your furnace air filter every 3 months or more frequently as needed in winter. Unclean air filters will reduce the airflow and will increase the energy consumption of your heating system. Avoid blocking heating vents with furniture, toys, appliances, or draperies; to keep your heating system working efficiently. Wrap your electric hot water heater tank with an insulation blanket; to prevent standby heat loss and to reduce your annual hot water heating costs by up to 5%. 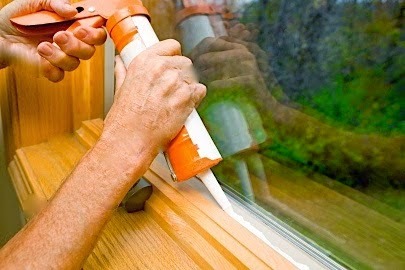 Caulk any air leaks around your window frames and exterior door frames. 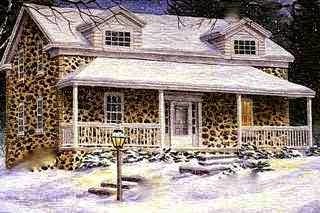 Keep your fireplace damper closed unless the fireplace is in use. Install programmable setback thermostats; to automatically reduce and increase the heating temperature of your home at night and during the day. Reducing your thermostat settings by 5 - 10% while you are asleep or away from your home could reduce your annual heating costs by 3 - 5%. Install faucet aerators and low-flow showerheads and toilets; to reduce your water and energy usage. 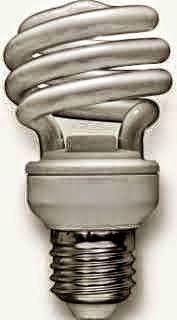 Choose energy-efficient compact florescent (CFL) or light emitting diode (LED) light bulbs, rather than incandescent light bulbs. Choose LED holiday lights for your holiday light decorations as they use less energy. Plug your electronic devices, computers, and appliances into smart power strips, which save electrical energy by turning off your devices when they go into standby mode. Turning off devices which are in stand buy mode can reduce an average family’s home annual power consumption by up to 5%. Wash your clothes in cold water and dry them on a laundry line or rack. Wash only full loads when using your dishwasher and laundry washer. Be sure to regularly brush or vacuum your refrigerator coils; to keep your refrigerator working efficiently. Open your curtains; to let in the warm sun into your home during the day. Reverse the direction of airflow (clockwise) from your home ceiling fans; to redistribute warm air during the fall and winter. 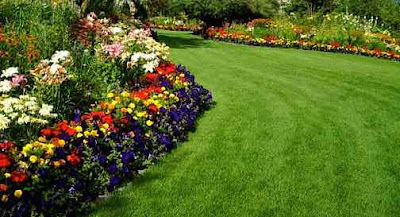 Plant trees and shrubs on the north and northwest sides of your home; to help protect your home from cold winter winds. An energy efficient home improves the comfort of your daily life, decreases your energy bills, and promotes a healthy environment for future generations.